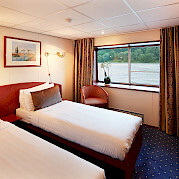 Standard Cabin on the Middle/Upper Deck with full-size picture windows that can be opened. 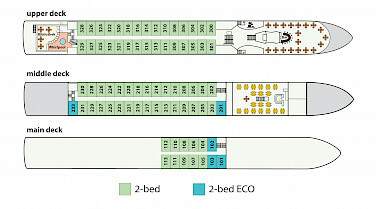 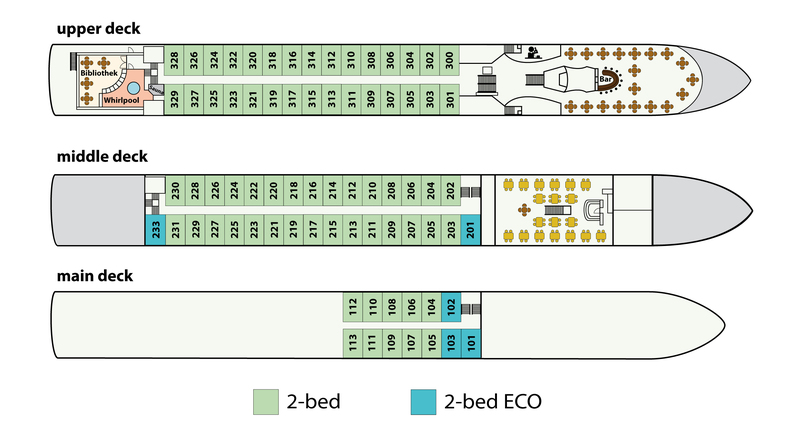 Beds can be separated as shown or pushed together. 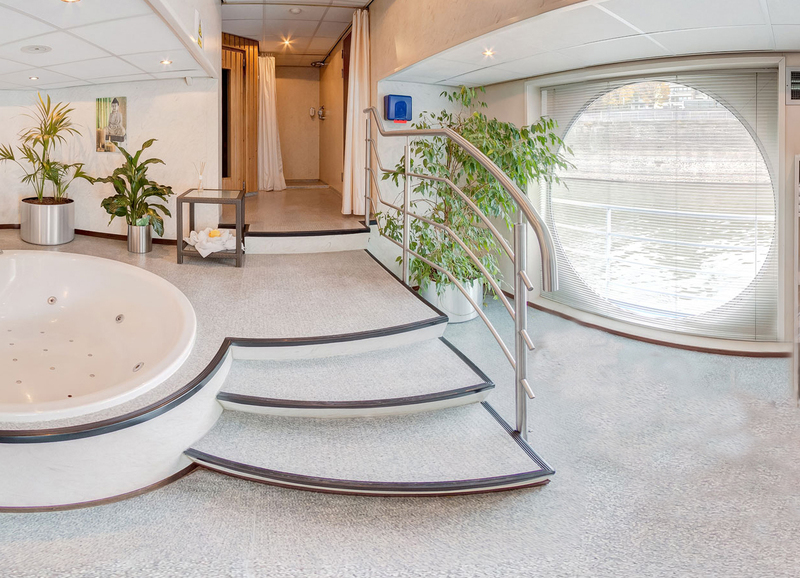 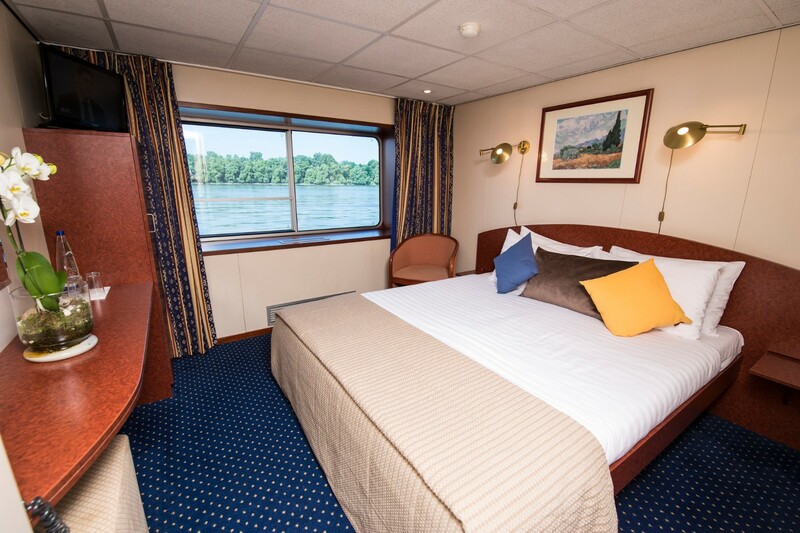 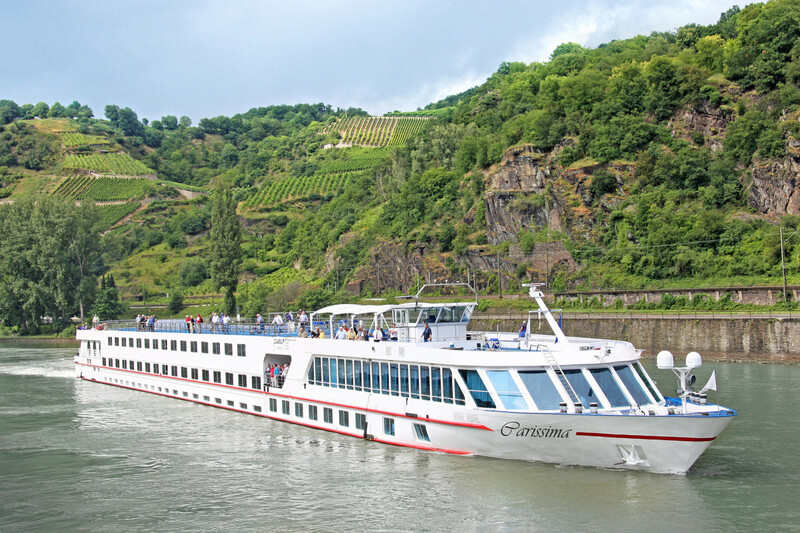 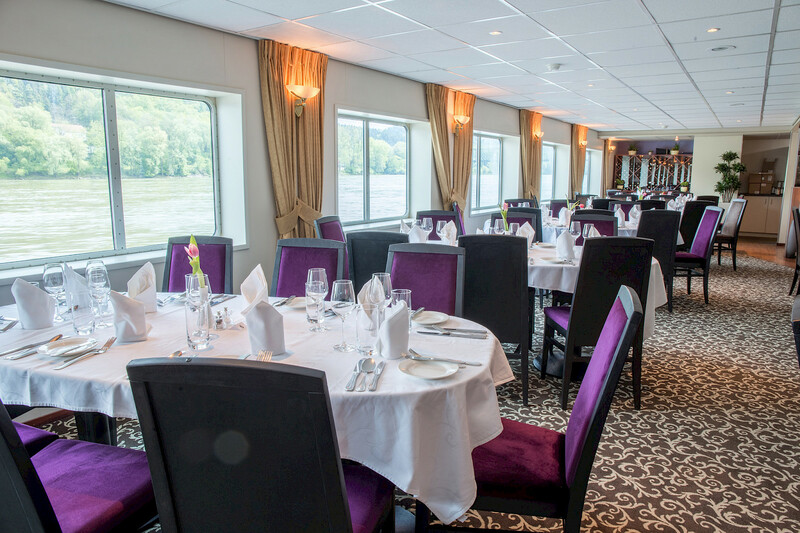 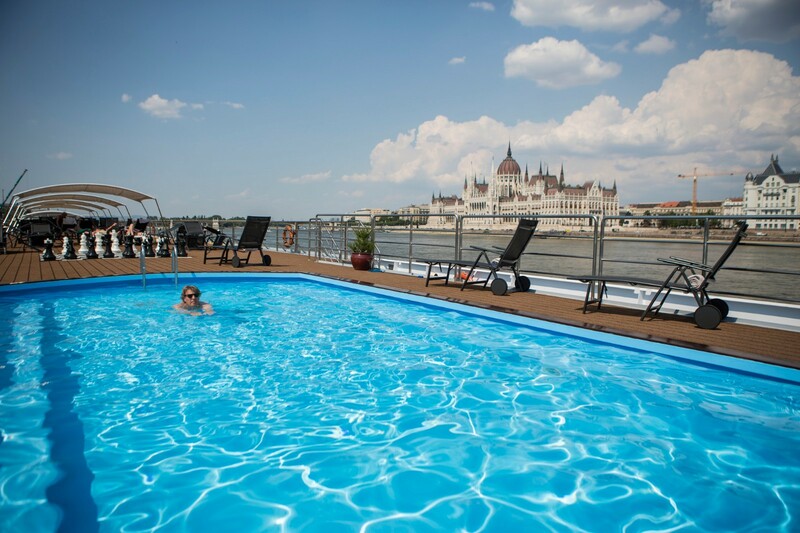 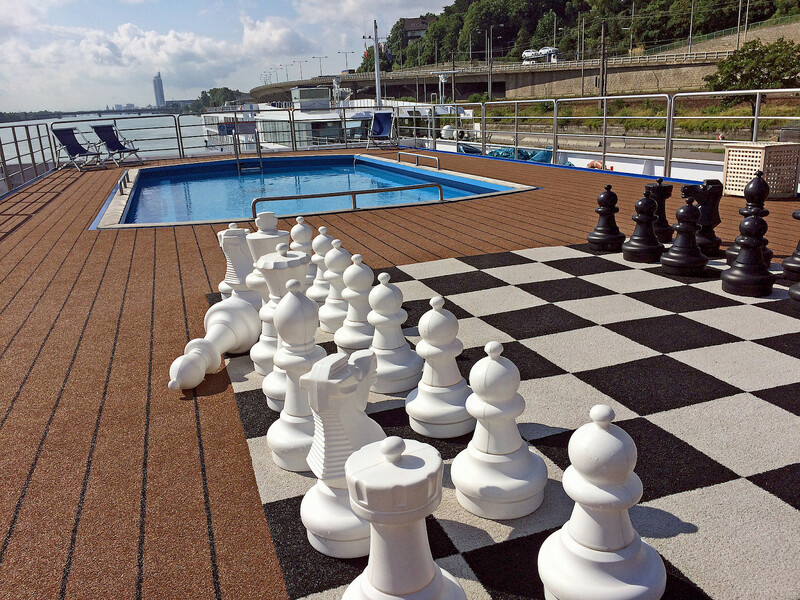 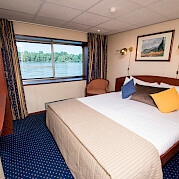 A deluxe vessel for touring along the Danube, the Carissima offers an inviting and comfortable atmosphere on board that will make your journey unforgettable! 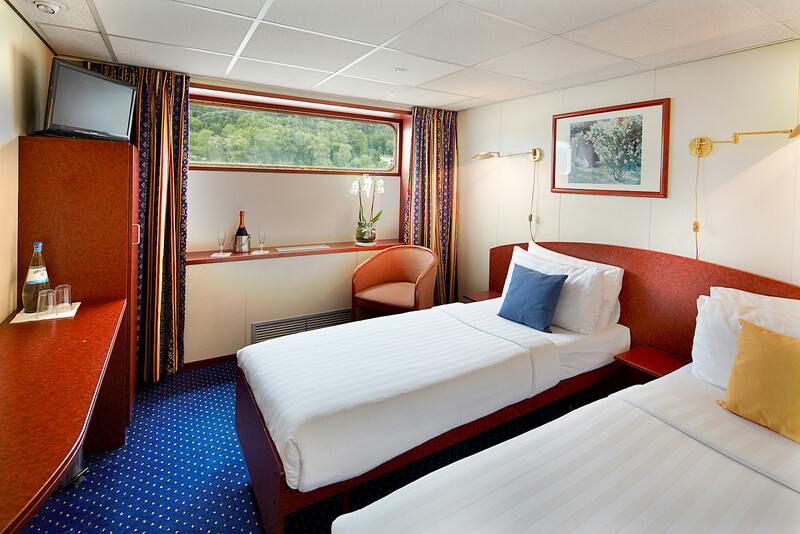 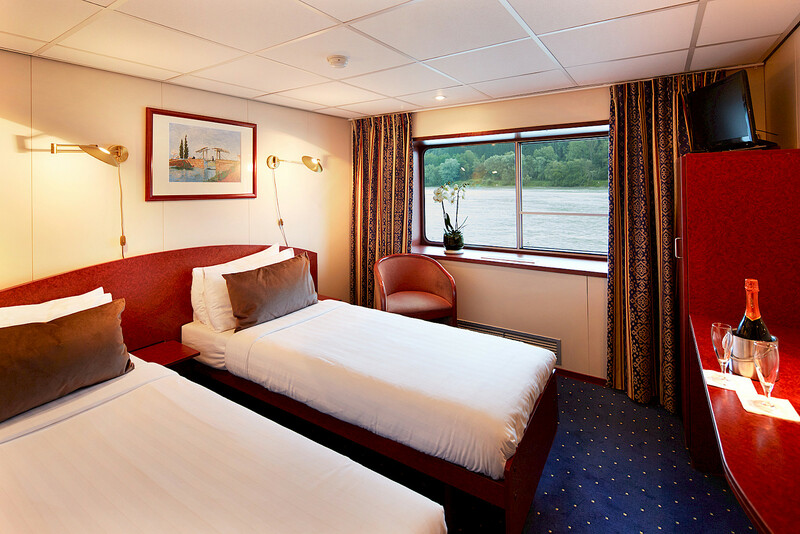 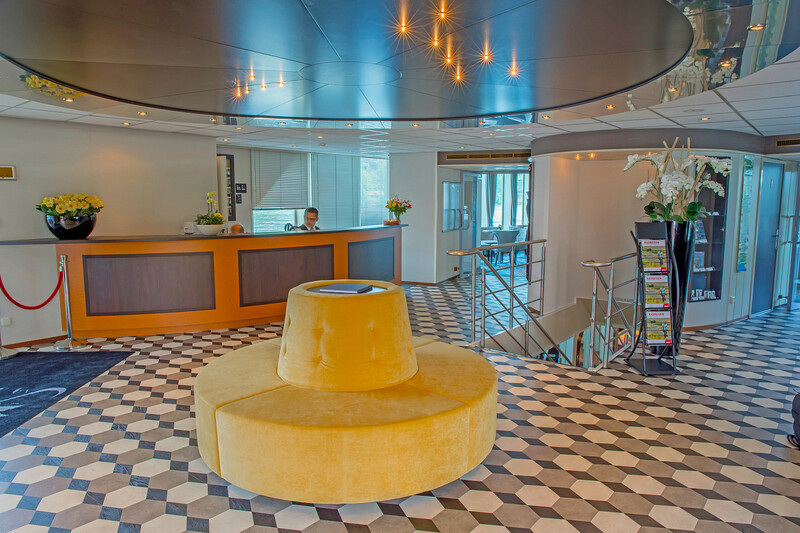 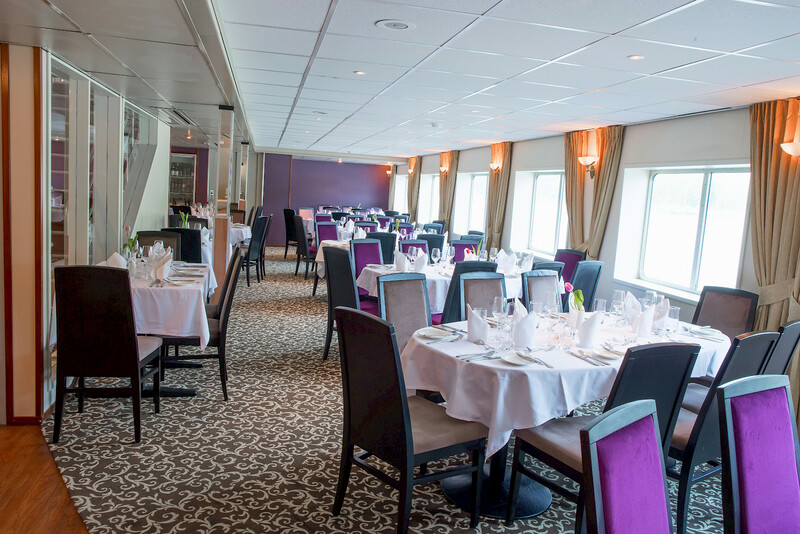 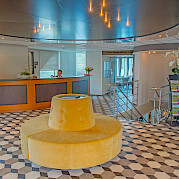 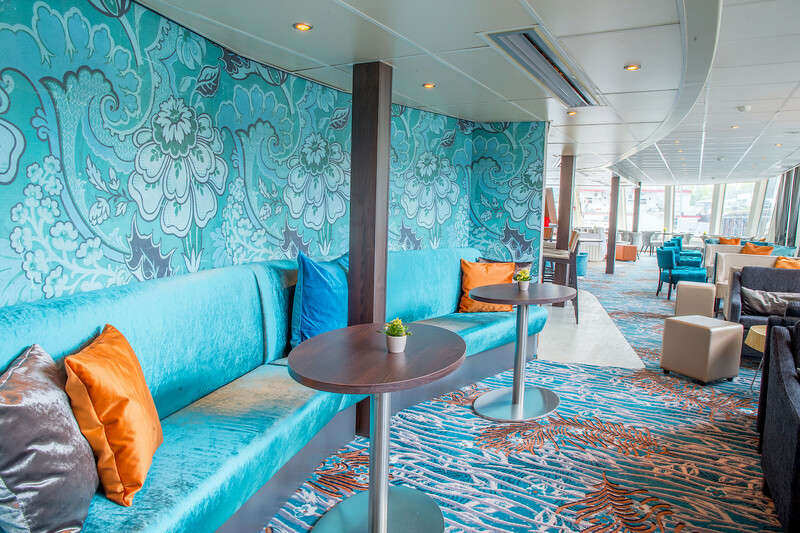 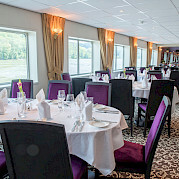 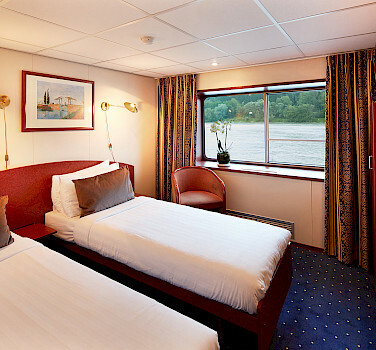 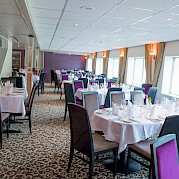 The first thing you will experience when boarding this vessel is the inviting atmosphere on board. 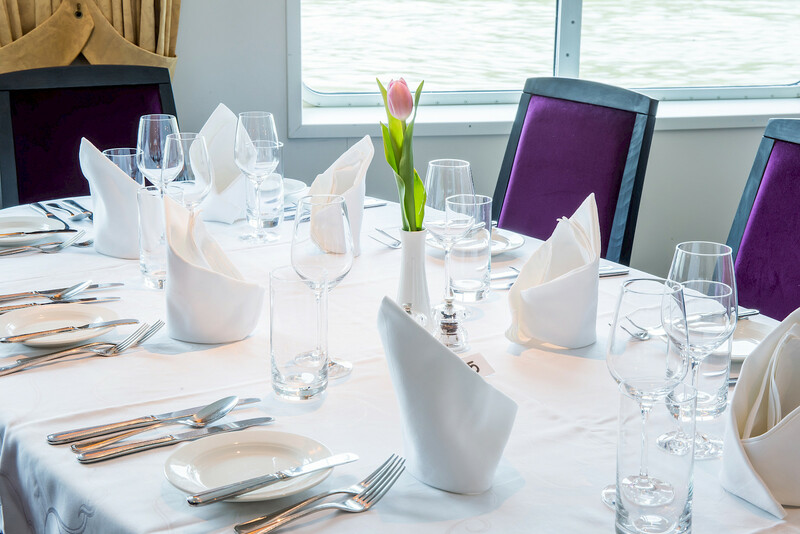 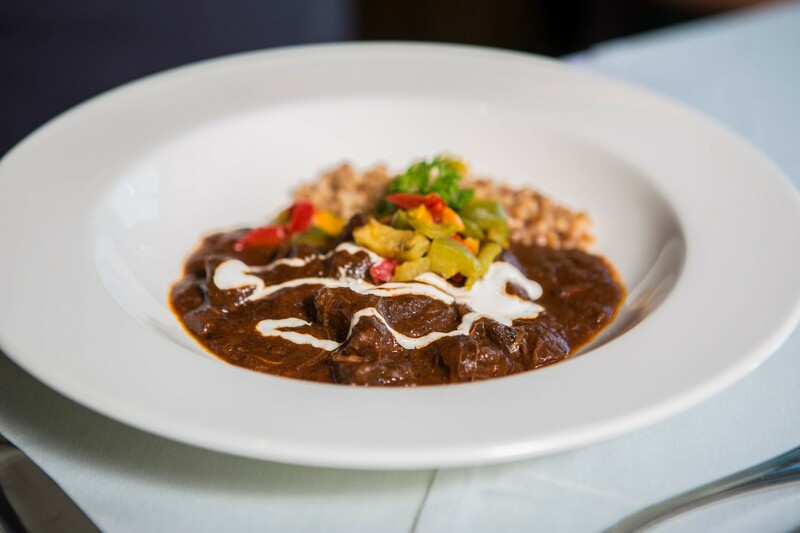 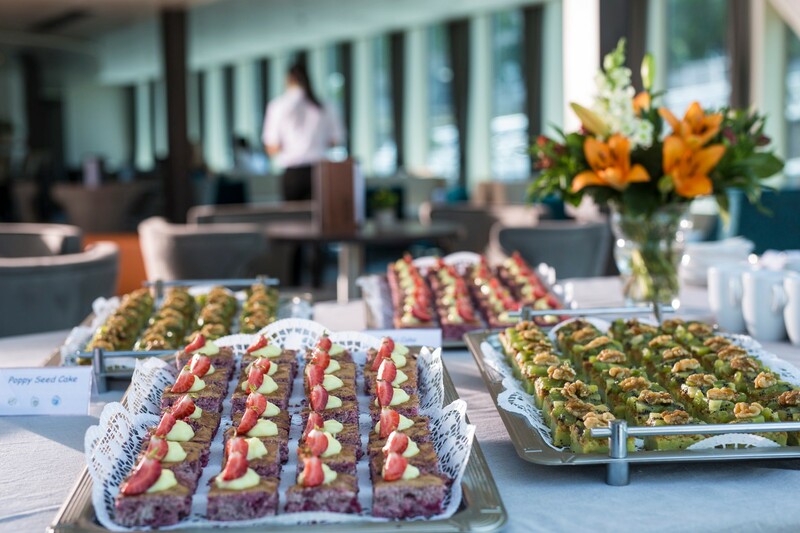 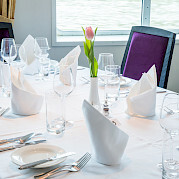 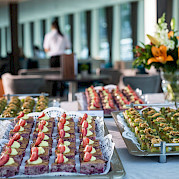 Cycling by day, you will experience the various cultures along the Danube, back on board, in the restaurant, you will experience a true culinary excursion through the region while enjoying fantastic views! 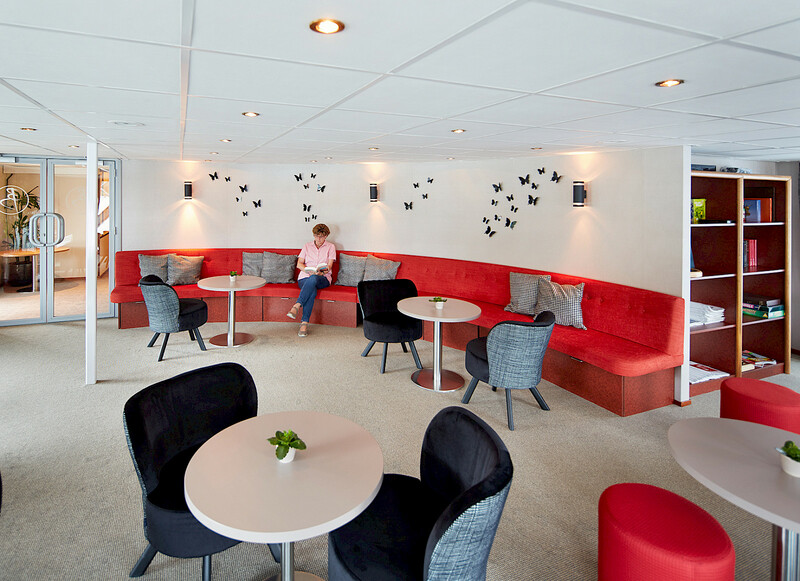 In the Panorama Lounge, where the bar is located, you can enjoy a glass of wine with your friends and fellow cyclists. 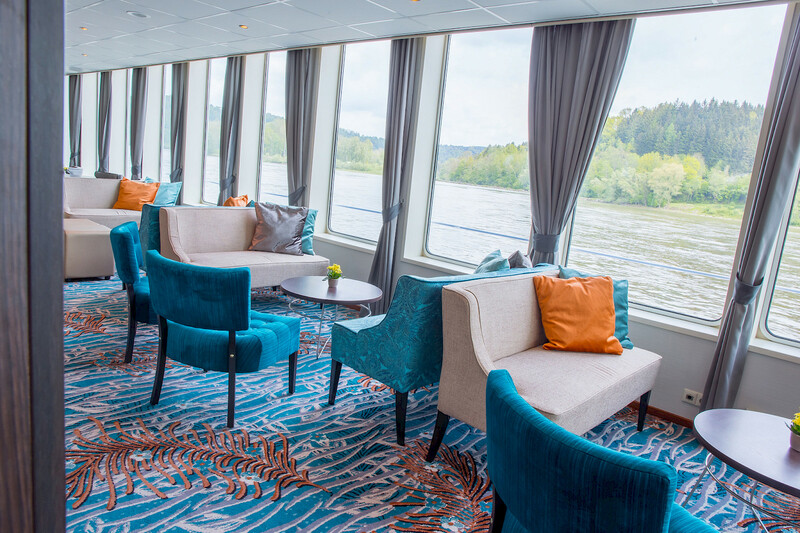 Comfortable lounge chairs on deck will invite you to linger and savor. 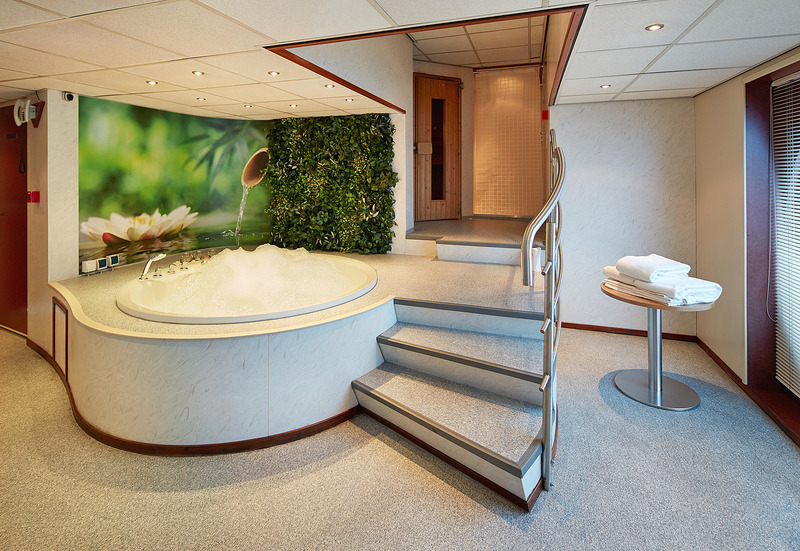 Afterall, even when actively vacationing, you have to take the time to relax. 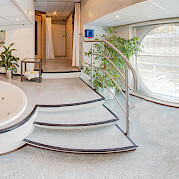 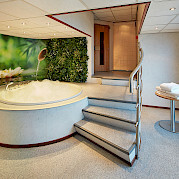 The spa with sauna and whirlpool is wonderful after a day of cycling and the pool on the sun deck (June through August) allows for a refreshing swim as the river passes by. 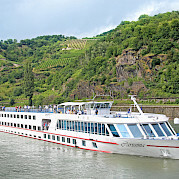 Tap water on board is not recommended for drinking. 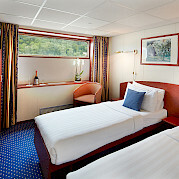 A half liter bottle of water is provided daily to each passenger. 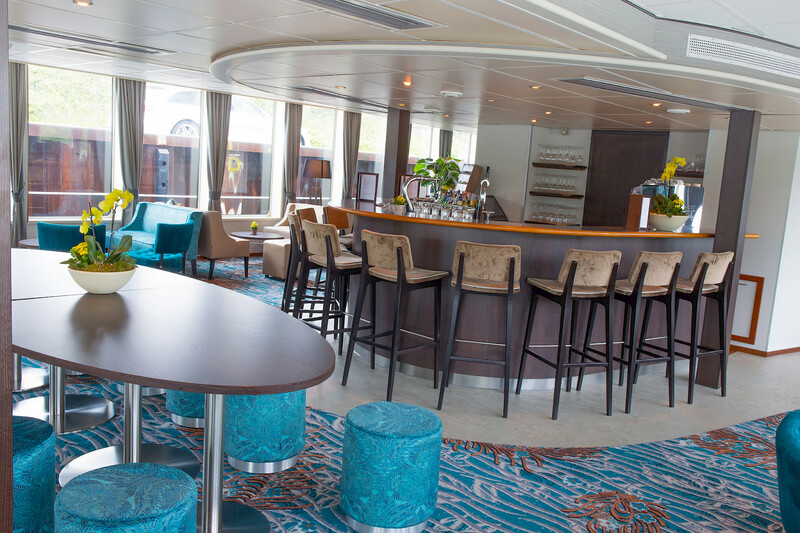 You may also purchase bottled water at the bar or restaurant. 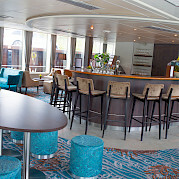 Bar tabs can be paid in cash (Euros) or with a credit card (VISA or MC) on the day of departure at the reception desk. 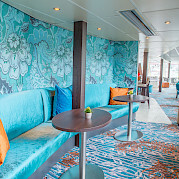 It not permitted to bring self-purchased drinks on board and consume them in public areas on the boat. 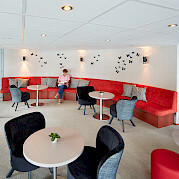 Smoking is not permitted in the cabins, resaurant, café, etc. 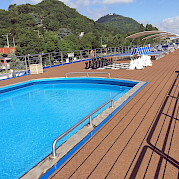 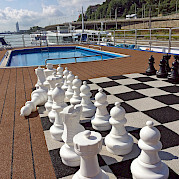 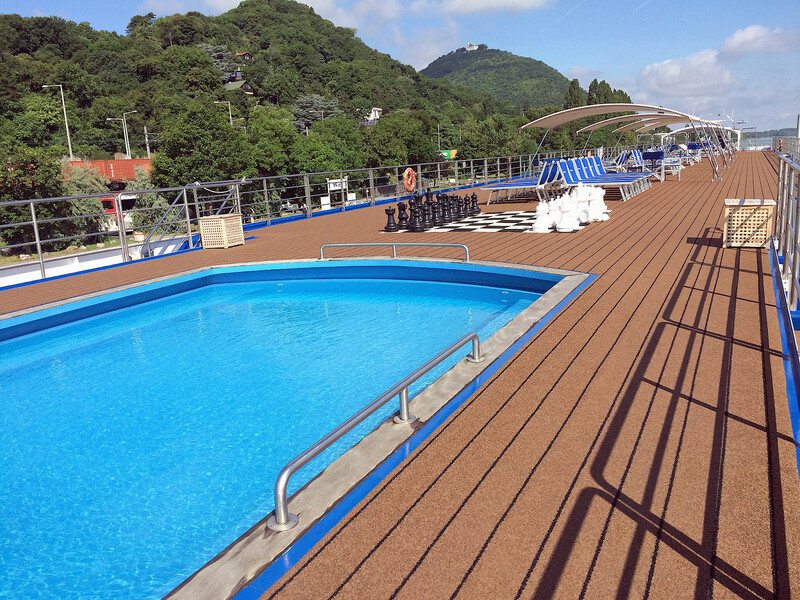 It is only allowed on the open sun deck. 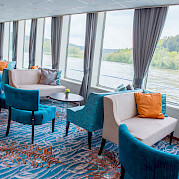 Dress Code: There is no special dress code, casual clothing is sufficient but some passengers choose to dress more elegant for the concert and gala dinner. 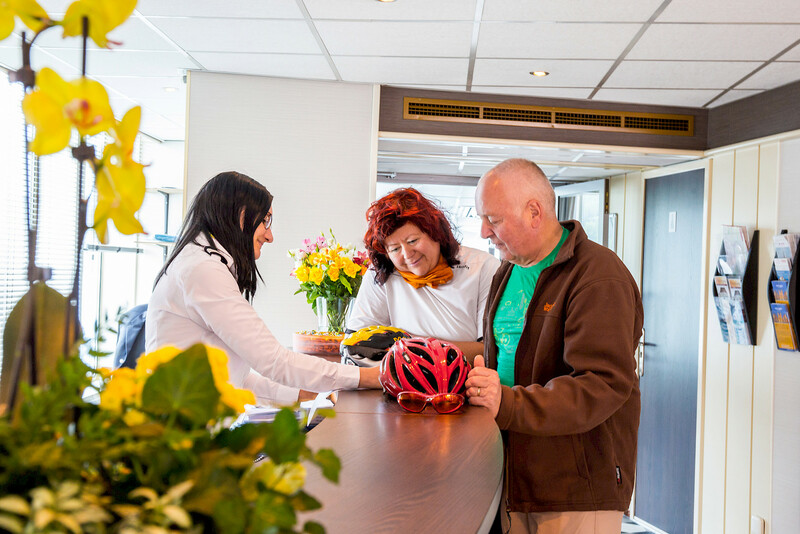 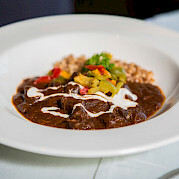 Excursions are available for sign-up on board, payment is made in cash or credit card to the cruise director.